I’ve mentioned Black Bullet International before (and here, here, here, here, and here) and that I use them for outdoor USPSA matches. They give excellent accuracy, consistent velocity, and are a good price. I have reloaded 7563 rounds of ammunition using these bullets and have about another 875 on hand. One of these is not like the others. Instead of the 180 grain 0.40” diameter bullet it is a 124.9 grain 0.359” bullet. Of course, there is no danger of reloading it in a .40 S&W casing and causing a problem. But if it had been a 200 grain bullet while reloading for 180 or a 180 grain while reloading 165 grain bullets there would have been a serious concern. I thought it was funny and set it aside. All the typical bullets were within 0.001” in length of one another. 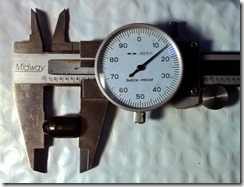 Then there were the two out of thirty which were 0.005” shorter. Remember when Barb and I toured the Montana Gold factory Norm told us they keep the weight of their bullets to about +/- 0.3 grains? Yup, that matches my measurements of their bullets. Now, I did once find a partial jacket in one of the Montana Gold boxes, but I have reloaded nearly 40,000 of their bullets. That is over five times as many as the Black Bullets. I have to conclude that the Black Bullets International company is not as quality conscious as the Montana Gold Bullets company with 180 grain .40 caliber bullets. Sounds like their QC is about at Blazer Brass standards — the company that prompted me to buy a cartridge gauge. Once I had that, I gauged all my ammo and found that Blazer was about 50% out of spec, and at least 10% sufficiently oversize that my picky gun (Boberg XR9) would misfeed on it. 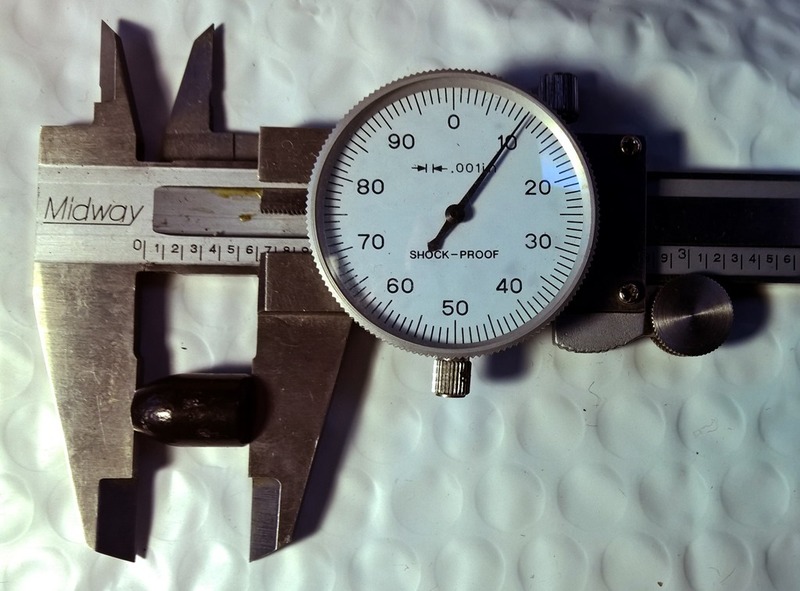 I checked with my micrometer and the SAAMI spec sheet to double check, sure enough, they were indeed well over the max permitted case diameter. I didn’t pull bullets or other checking to see why; I just set them aside and put Blazer on my “do not buy” list. Some day I may run them in a more forgiving gun, or give them to a friend who has one. Give The Blue Bullets a try. See how they stack up. If you use my friend Luke’s discount code “Triangle” you get a discount, I think 10%. What I don’t like about Blue Bullets is the coating comes off easily and makes a mess on the reloading equipment and bench.